Navratri: Today is first day of Chaitra Navratri. Devotees have gathered in temples to perform pooja and aarti. Chaitra Navratri date: It begins on April 6 and ends on April 14. 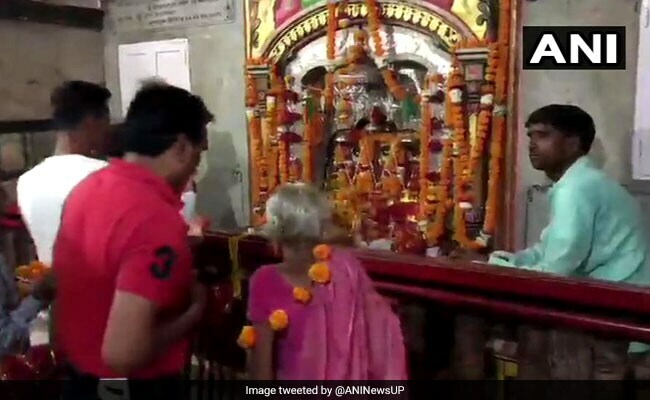 NEW DELHI: On the first day of Chaitra Navratri today, devotees lined up at temples to seek blessings, perform aarti as they observe the first day of their nine-day fast. This year,Chaitra Navratri is being observed from April 6 to 14. Nine “avatars” or incarnations of Goddess Durga – Shailputri, Chandraghata, Kushmanda, Skandamata, Katyayani, Kaalratri, Mahagauri, and Siddhidaatri, are worshipped during Chaitra Navratri – one on each day. The festival culminates on April 14 with Rama Navami that celebrates the birth of Lord Rama.Navratri festival commemorates the coronation of Lord Rama post his return to Ayodhya after completing 14 years of exile. Devotees believe that it will help bring peace, prosperity and happiness in one’s life. In Delhi’s famous Kalkaji temple and Jhandewalan temple, special arrangements have been made for the devotees. Flowers adorn the temples for Navratri celebrations and devotees gather in large numbers to observe the auspicious time. “It is Hindu new year or Hindu nav varsh, a very special festival for us. We keep fast for nine days,” a devotee told news agency ANI. On Mahashtami– the eighth day of the Navratri, kanya poojan/ kanjak poojan (worshipping of girls), is performed where signifying various forms of Goddess Durga.